David Nilsson - Manager (Brisbane Bandits) - Photo: SMPIMAGES.COM /ABL Media. 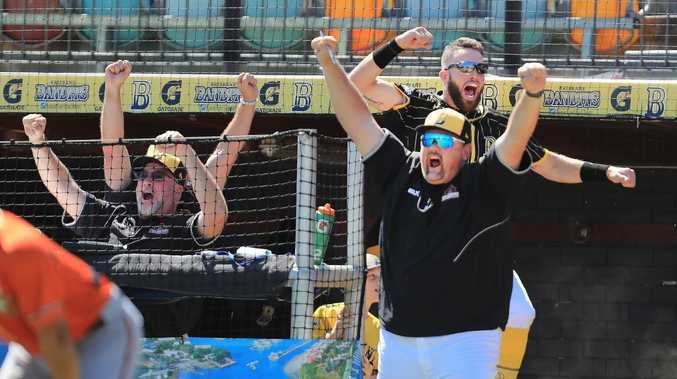 Queenslander Wade Dutton clubbed the decisive run batted-in last night to take the Brisbane Bandits to within one win of an historic fourth straight Claxton Shield baseball title. 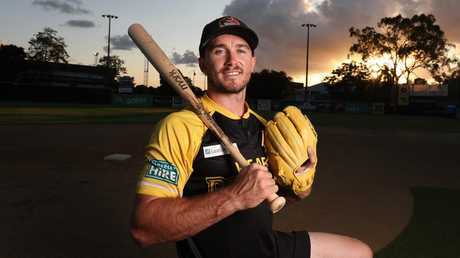 Dutton brought home long-time Bandits teammate Logan Wade when both local products got on base against Perth pitcher Brooks Hall amid the pressure of a seventh inning tied at 2-all in Western Australia. Brisbane will come home with a 3-2 win to Saturday night's second of the best-of-three championship series at Newmarket's Onehub Stadium. Perth, scorers of more runs than any team in the regular season, will look to take the series to a deciding third game in Brisbane on Sunday afternoon. 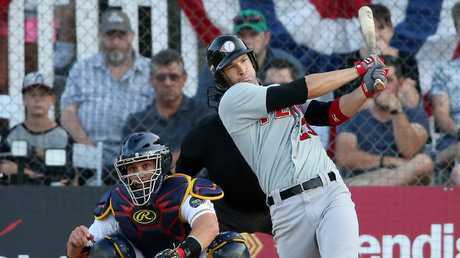 Relieving pitcher Loek van Mil, coming into the game for winning starter Ryan Bollinger after six complete innings, and closer Ryan Searle did not give the formidable Perth offence a sniff of a comeback in working the last three innings. Brisbane, looking to become the first Australian Baseball League team to win four consecutive crowns, had gone ahead against Perth starter John Anderson when their mid-season American import Wynton Bernard had hit to bring home Wade. A fielding error by Perth short stop Peter Souza has given the visitors a 2-0 lead but the West Australian club scores a run in each of the third and fourth inning against Bollinger, a contracted New York Yankees player last year. Van Mil was playing only his fourth game since a bushwalking accident left him with 14 skull fractures. But the Dutch international showed again how prepared he was for playoffs responsibility by clearing two innings with 20 pitches, 15 of which were strikes. Searle needed only 10 pitches in the bottom of the ninth, placing eight strikes. Brisbane's Tim Atherton has been named by coach David Nilsson as his starting pitcher for Game Two.